Mithali Raj gifted a bat to the nine-month old Inaaya. 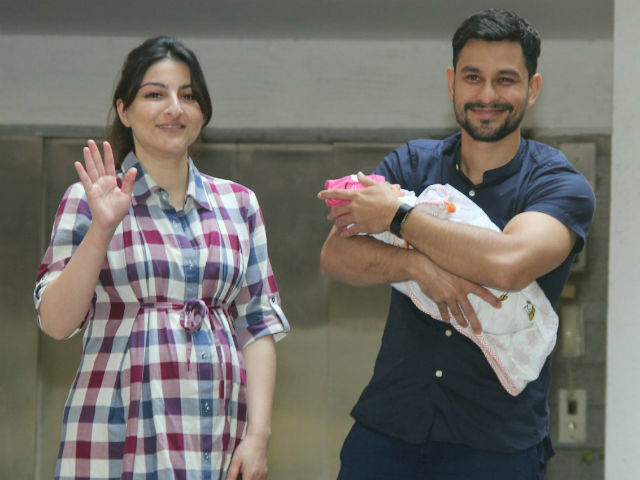 Indian women cricket team skipper, Mithali Raj has gifted a special present to the daughter of Bollywood couple Soha Ali Khan and Kunal Khemu. She has given baby Inaaya a bat inscribed with the words, “It's never too early to start”, and has also signed her autograph as well. Mithali Raj who herself is known for her consistency in cricket, led her side in the Women's World Cup 2017 but unfortunately lost against England in the final of the tournament. With giving this special present to the nine-month-old Inaaya, she wants to inspire young talent to prosper in the game of cricket. While praising the gift received from Mithali Raj, Inaaya's mother, Soha Ali Khan took Twitter to share the pic of the present in a humble manner. She wrote- Thank you so much @M_Raj03 for this very precious present for Inaaya!! Can’t wait for her to grow into it - until then we will be watching you continue to make India proud on the field.